After several security holes discovered in iOS 7 now we find the new OS comes with problems on the iMessage functionality. 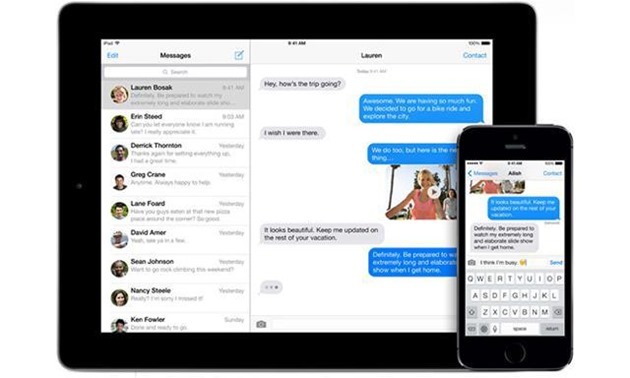 Having a large number of iDevice owners in entourage, messages in iMessage format were one of the most important features introduced in iOS 6. Unfortunately, the new iOS 7 manages to fail this component for a significant number of users of the platform. iMessage is a replacement for traditional posts, like WhatsApp, just as it is integrated in the operating system only works between iDevices and does not require creating an additional account. So when you are online, send an iMessage to a friend, and when you are offline you send a normal SMS to the same friend. The problem is that in iOS 7 this function is reflected in the unsent messages, the failure of the device of sending SMS instead of iMessage messages and, worst of all, the messages that have not reached the destination. All complaints on the subject began around the time of September 18, when the new version of iOS was launched. With the launch of iOS 7.0.2, the problems were not fixed, which is why we can only hope that it is possible to rectify the messages situation with the 7.0.3 version. If you are affected by this phenomenon, a solution seems to be to disable iMessage in the settings menu of the phone, reset the network settings in Settings – General – Reset – Reset Network Settings and reactivate iMesage after reboot.